… cos you have to explain the defeat of 3 mainstream candidates somehow. There is indeed something tired and small scale about the leadership we were getting. The Nottingham South Labour Party Halloween social, where Vernon Coaker MP was the guest speaker. 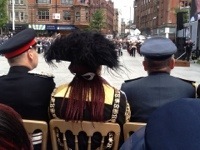 First ceremonial commemoration of the 100th anniversary of the Great War, combined with a medal ceremony for members of the 1st Royal Horse Artillery, including Battery E who are known as the City of Nottingham battery. This battery fired the first British round in the Great War near Mons. The parade was led by members of the 1st Regiment Royal Horse Artillery (RHA) and, in particular, around 70 members of E Battery, which recruits from Notts. 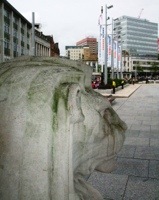 Soldiers in The Council House. 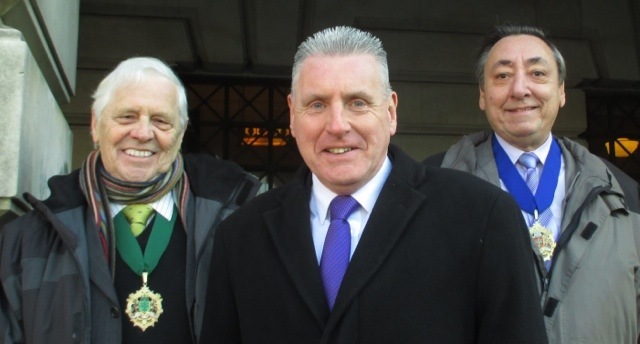 Pictured Vernon Coaker MP, Shadow Spokesperson for Defence, flanked by Cllrs Brian Grocock and John Hartshorne. The type of gun used in the First World War. The type of gun used in the Second World War including at the Battle of Knightsbridge. There’a BBC tv news clip available. 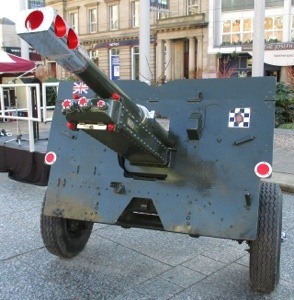 It can only mean first British round fired, cos artillery had been in use for some weeks during the invasion of Belgium and sieges such as at Liege. Congratulations to all involved in organising the re-dedication of Spanish Civil War Memorial. Much is said about the shame of those who took the memorial down, but the quality width and depth of the event true meaning to what this was about. That in Spain, working people came together for a more just, more equal country, and elected a new government, a Popular Front. And military powers, from home and abroad, organised to use their power to evict that government, in the interests of the rich and in the interests of religious organisations who had once had more influence. And their leaders used new ideas derived from Hitler and Mussolini to give an ideological resolve to their mission. 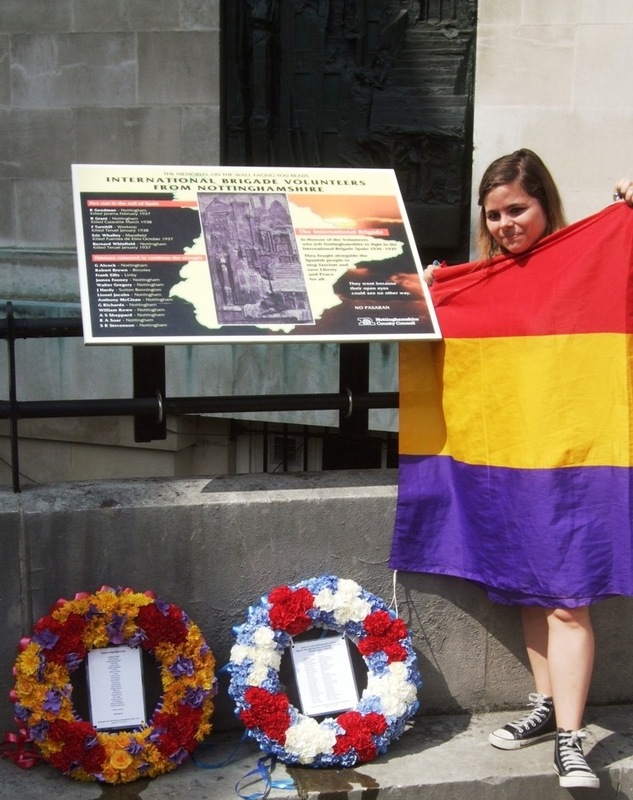 But people from across the world gave up so much of what they had to join an alternative, additional military force – the International Brigades – to right that wrong. And some of those were from Nottingham and Notts. And if other political leaders had drawn more from their inspiration and their resolve against fascism, and heeded the warnings about the bombing of civilians from the air, then the Second World War might have been avoided and the lives lost the night that West Bridgford, The Meadows and Nottingham was bombed, might have been saved. 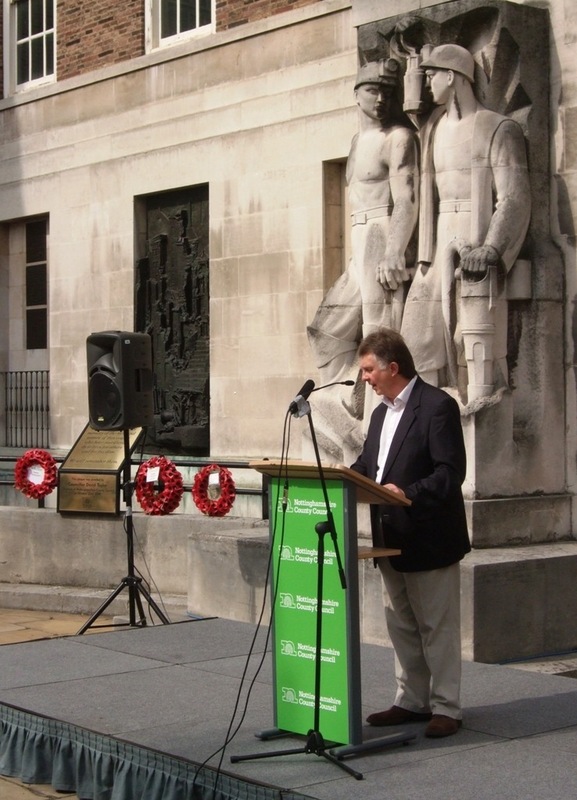 So congratulations to Notts Labour Councillors and to Cllr Alan Rhodes for putting the memorial back for those Notts. volunteers and for doing it with such style and elan, so that we can focus on the true message. 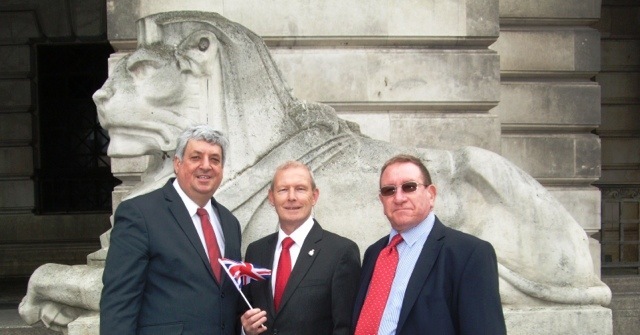 County Hall is a special place, and proximate to the greatest commemoration to those who fell whilst serving for freedom in this land – the Peace Memorial on Victoria Embankment. 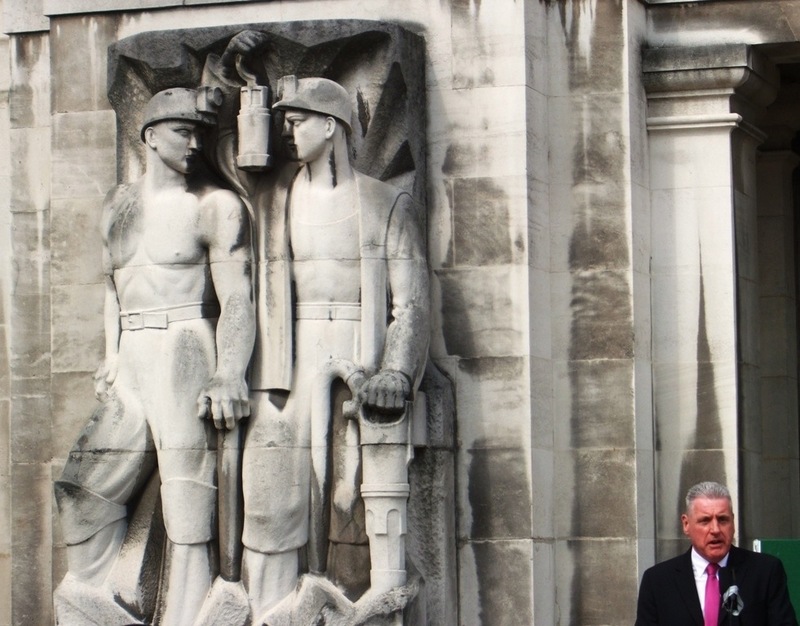 County Hall is a special place, and as a seat of democracy is a proper place for those who risked so much in the cause of freedom, when others either wouldn’t heed them or feel they could make such a sacrifice. 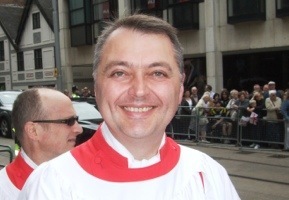 Former work colleague Andrew spotted that the choir had a different version of the hymns to be sung, so a little moment was had. Other special moments included the public telling the official party’s chauffers to move their cars when they were thinking they could leave them blocking the view. As about as melodramatic as it got. Unfortunately, the chairs for the official party were left too close together and it was a tad awkward. A band played from the balcony of The Council House as crowds assembled and played a numbers of tunes, including the “Battle of Britain” theme. The irony of this of course is that the music was written for the movie to show how big and powerful the Luftwaffe was in 1940 and it carries a very Germanic flavour. Very powerful piece of music though. 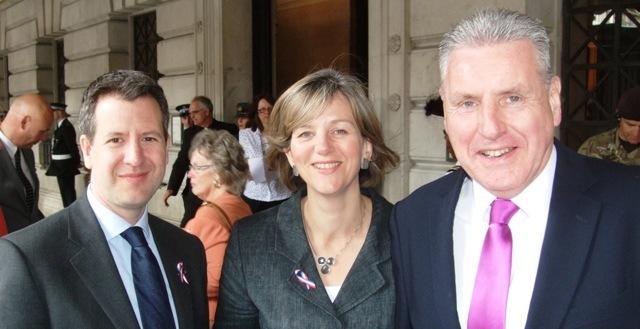 Local MPs Chris Leslie, Lilian Greenwood and Vernon Coaker. 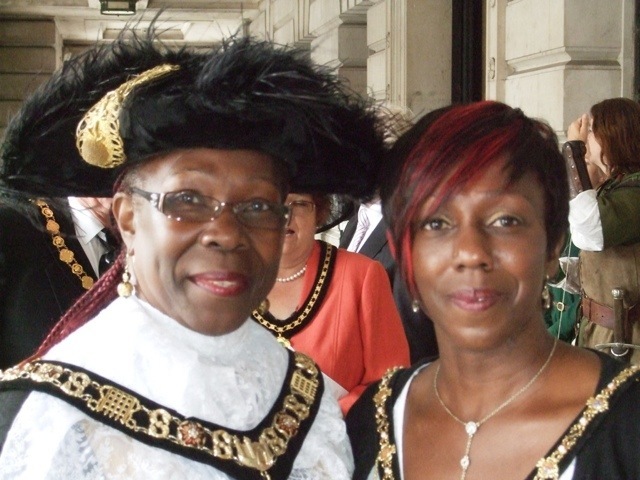 Lord Mayor, Merlita Bryan and her daughter.